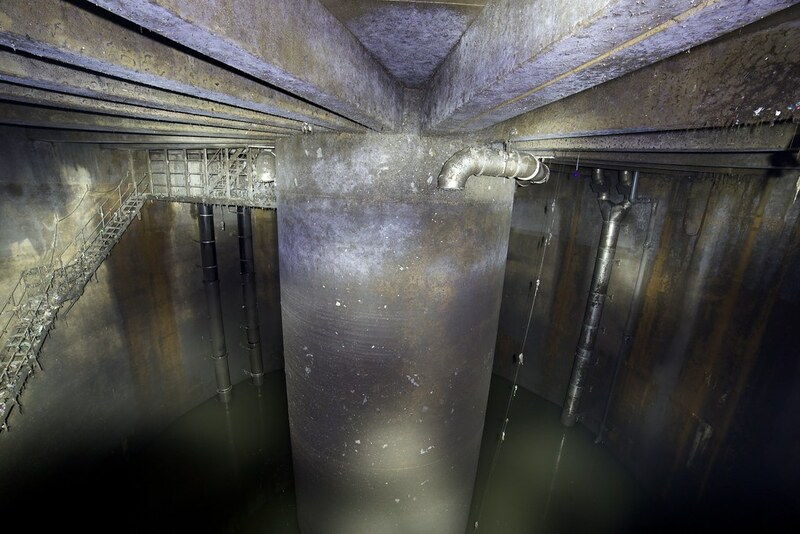 When there's heavy rain the sewers fill up much more quickly than normal a CSO (Combined Sewer Overflow) tank is used to store the excess water which would otherwise end up in rivers or the streets. 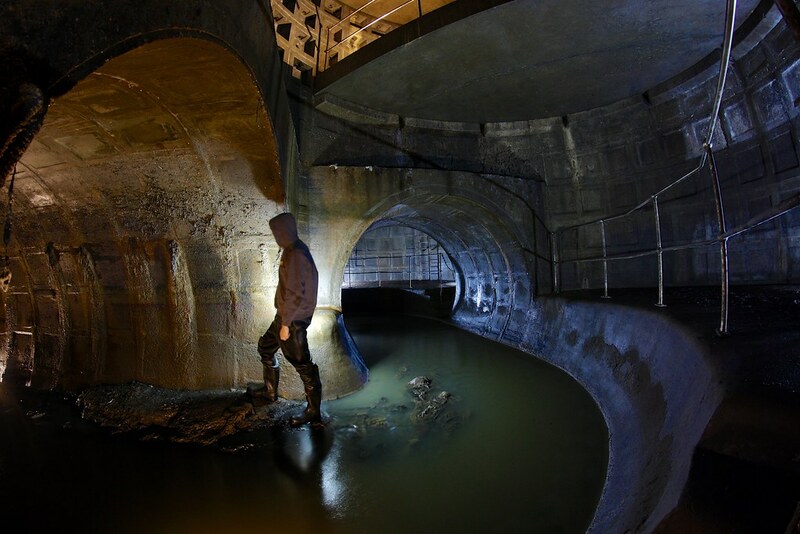 After the storm has passed they slowly empty back into the sewerage system. They are usually near or contain an overflow chamber but can also be put in locations where there's no river to spill into. Tanks come in all sorts of shapes, sizes and configurations depending on the area and level of protection needed. 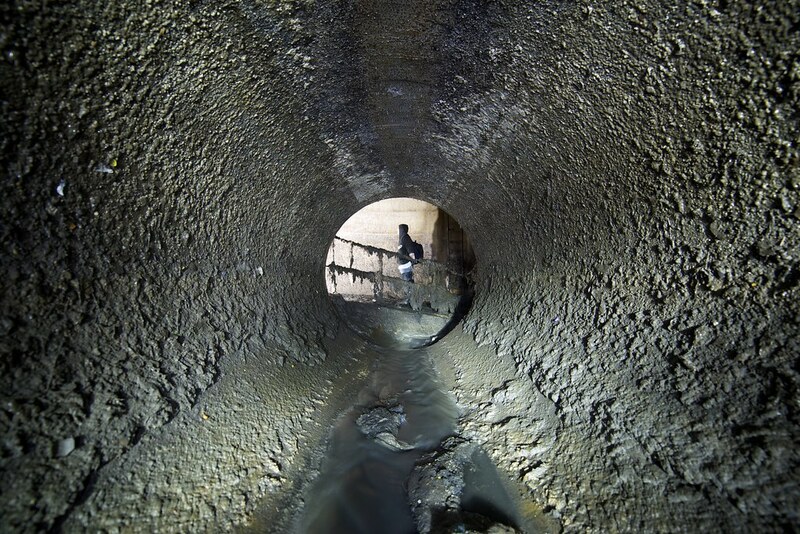 Usually they are located underground at a depth that allows the incoming sewer to fill it by gravity. 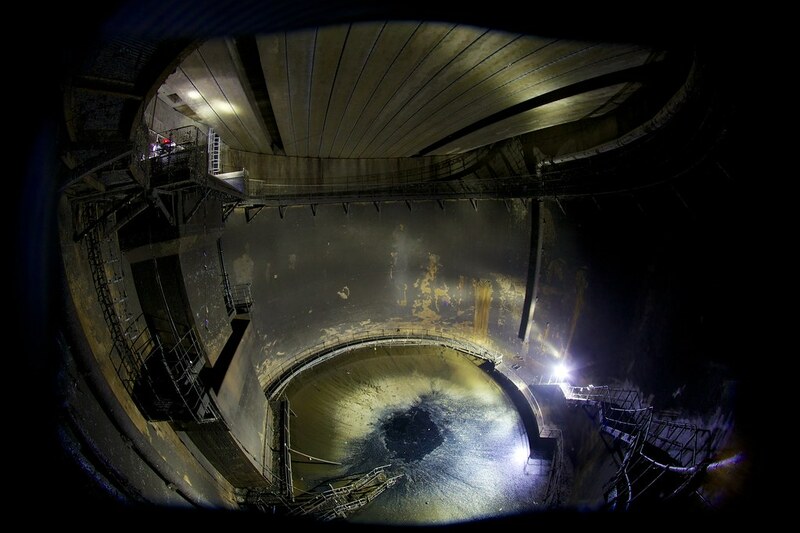 Those that can empty naturally back into the sewer system are known as online storage, whereas offline tanks are emptied by pumps. 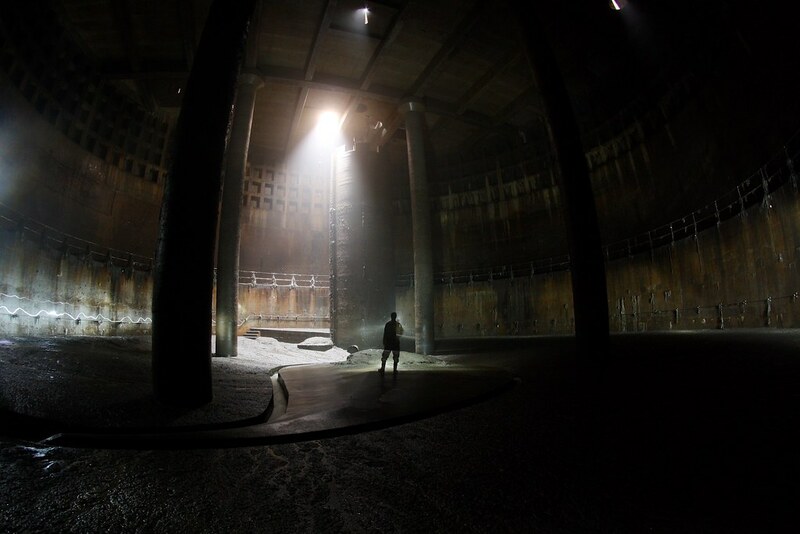 The biggest tank personally explored was 'In My Sights', this massive online tank protects upto a 1 in 25 year storm event. It's floors slope down to a couple of channels taking the normal level flow, although there was build ups of sewer mud the bottom was pretty clear considering. When the tank fills up enough the flow goes over the top of a large column and down to the nearby overflow chamber. 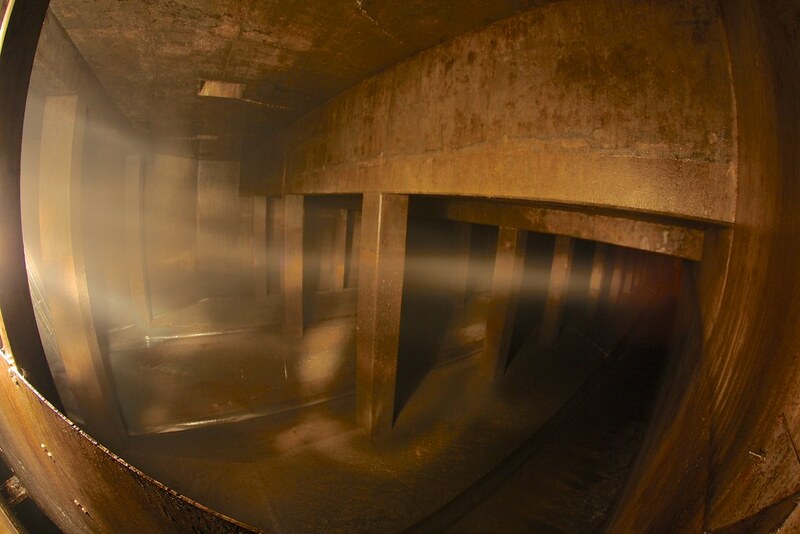 Most big tanks have a separate screened CSO chamber. 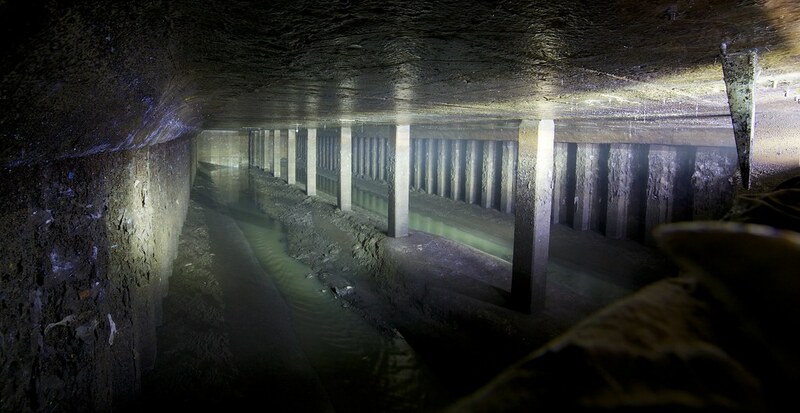 This can be upstream to filter out solids before they enter, allowing the tank to have an outfall straight to a river and is good for offline storage where cleaning out tonnes of mud would be difficult and expensive. This setup is used in a couple of Bolton's 10000m³ cylindrical tanks. Box shaped tanks are an effective solution where there's plenty of available land to build them. The tank doesn't have to be as deep as the length contributes mostly to the overall capacity. There's a couple of good examples on the upper River Medlock catchment where online tanks have been dug into the banks of the river. Both 'The Minger' and 'The Edge' only have basic overflow capabilities with precious little screening for solids. 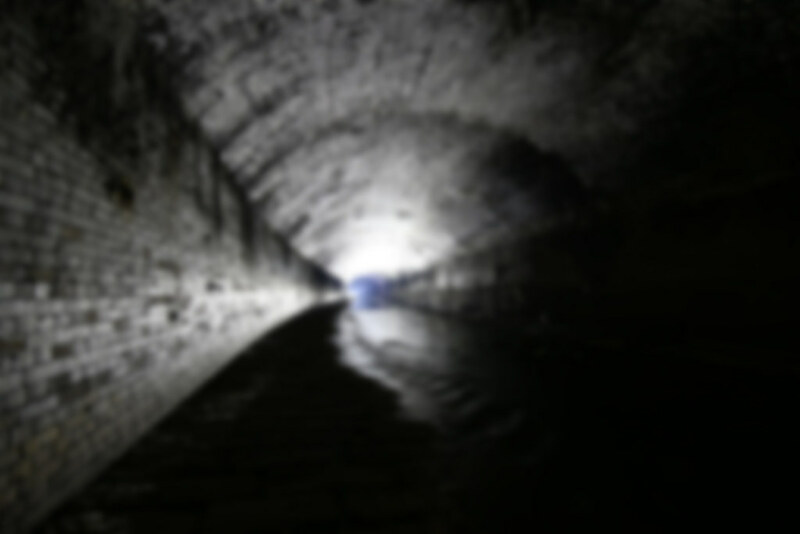 Some sewers have a section of enlarged pipe that acts as storage with a smaller throttle pipe downstream that causes it to backfill under heavy load. A decent length of big pipe can give a respectable storage volume, such as Grim Resistor's 3800m³. They do not seem to self cleanse well, as the pipe slowly empties the solids settle either side of the invert in mud banks which are nasty to walk through. I had to give up on the storage pipe at Sidedraft Induction, the mud was solid only for a meter before becoming like quick sand and releasing a fair bit of gas.